Viking Odin is one of the four new Longships that Viking will be launching in 2012. Explorer Suites. The Odin will have two of these Explorer suites, measuring a sizable 445 square feet and feature a separate living room, bedroom, bathroom and private, wraparound verandah. 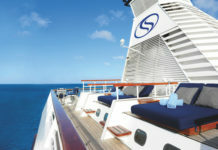 The seven 270-square-foot Veranda Suites on each ship will offer full-size verandahs in the living rooms and French balconies in the bedrooms. Terrace Lounge. 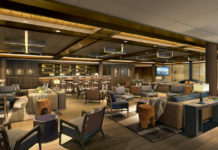 New lounge concept, the Aquavit Terrace, features a retractable glass doors for alfresco relaxation on nice days and climate-controlled views on inclement days – useful when cruising Europe.